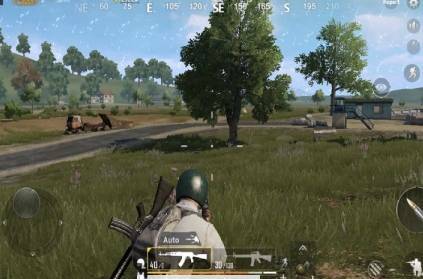 PUBG, the Battle Royale game, has been hogging the limelight ever since it was introduced and it has garnered the attention of all the youngsters. It has caused addiction and some cities banned the game and arrested violators and restriction was placed and lots more happened which put the game in the headlines over and over. Now, the game is grabbing the headlines again but for altogether a different reason. An anonymous millionaire wants to turn his private island into a real-life PUBG arena. 100 people will play the 3-day event and "the last person standing" will be rewarded 90 lakhs. The information is available in the site Hush hush as an ad for the gamemaker to turn the isand into an arena. It is a six-week project. The role of the gamemaker is to make the event as realistic and safe as possible. As it is currently planned, the event is intended to last 3 days, with 12 hours of competition each day. Competitors will then camp for the night. Food, camping gear and all the necessary equipment will be provided. ‘பக்கத்துல போலீஸ் வந்தது கூட தெரியாம பப்ஜி’.. 10க்கும் மேற்பட்ட இளைஞர்கள் கைது! ‘சொன்னா கேளுங்க.. பப்ஜி கேமை தடை செய்யுங்க’.. முதல்வருக்கு சிறுவன் கடிதம்! 'என்ன.. பய பப்ஜி விளையாடுறானா?’.. சிரிக்கவைத்த மோடி.. தெறிக்கவிடும் பதில்! மாயமான 50 பூர்வ தமிழர்கள்.. ஆஸ்திரேலியாவுக்கு கடத்தலா..? கேரளாவை நடுங்கவைக்கும் மர்மம்! பிழைப்பு தேடி சென்ற நாட்டில் திடீரென கோடீரஸ்வரர் ஆன மெல்ஹிக்! This page contains news relating to various facts and events. The views are generally about current affiars and general topics in diversified areas such as political, international, national, and regional issues, sports, health, travel, lifestyle, technology and business. People having similar interets on the above topics will find this page useful. PUBG in real life! Millionaire pays to make PUBG arena | Fun Facts News.